Love was the last thing Todd Webster Morgan expected to find while searching for gold in 1870s California. But that was before he met Lao Jian. Hardened beyond his nineteen years, Todd Webster Morgan is determined to find gold high in the Sierra Nevadas. But his dream is violently upended. 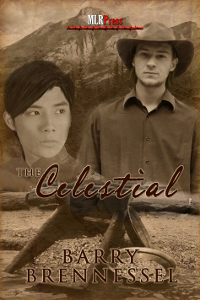 Complicating matters even more, he meets a young Chinese immigrant named Lao Jian, whose own dreams of finding gold have been quashed by violence. But life back in Sacramento isn't any easier. Todd's mother struggles to make ends meet. His invalid uncle becomes increasing angry and violent. Todd seeks employment with little success. Meanwhile his friendship with Lao Jian turns to love. But their relationship is strained as anti-Chinese sentiment grows. Todd vows not to lose Lao Jian. The couple must risk everything to make a life for themselves. A life that requires facing fear and prejudice head on.